Jack Daniels Archives - Oak Beverages Inc. Sit back and crack open a cold Jack Daniel’s Country Cocktail. With seven different flavors to choose from, they’re a refreshing change of pace. Very refreshing, in fact. 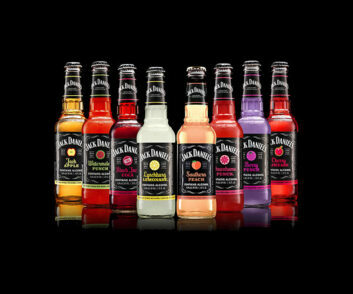 Jack Daniel’s Country Cocktails are the only flavored malt beverages today that combine natural citrus and fruit flavors with a slight hint of Jack Daniel’s Tennessee Whiskey. They are designed for consumers looking for a premium quality brand and the convenience of a ready-to-drink beverage that’s refreshing while also containing a little bit of the Jack Daniel’s attitude.